ADFIAP’s Institute of Development Finance (IDF) in cooperation with the Small Industries Development Bank of India (SIDBI), an ADFIAP member, conducted a study tour program themed, “India’s Best Operating Development Financing Institutions and MSMEs” (micro, small and medium enterprises) from July 16-20, 2012 in Mumbai for its counterpart regional association, the Association of African Development Finance Institutions (AADFI). 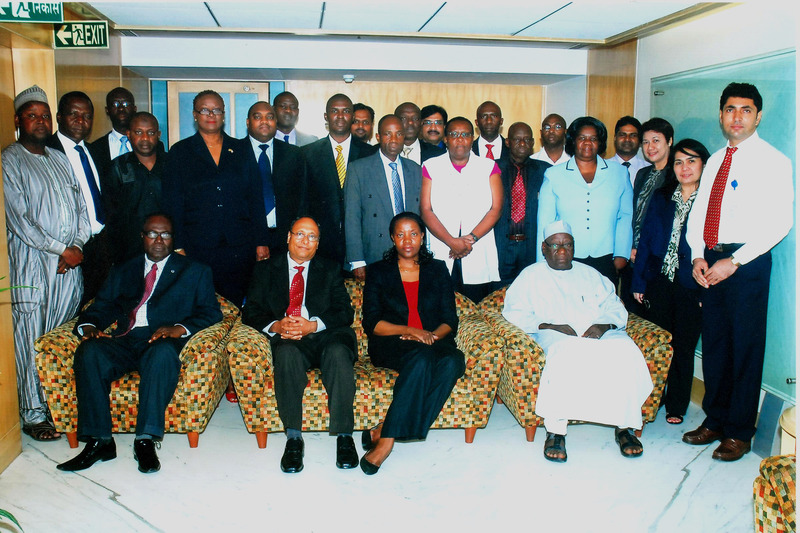 The program was attended by 19 senior officers of AADFI’s member-institutions from Nigeria, Egypt, Ghana, Liberia, Kenya, Democratic Republic of Congo, Tanzania, and Uganda. The 5-day program was designed to enhance the participants’ knowledge leading to a fuller understanding of India’s DFIs and MSMEs and the significant role of DFIs there in financing national development. Apart from sharing of information and best practices among the participants, the course also included lectures by the Credit Guarantee Fund Trust for Micro and Small Enterprises (CGTMSE), SME Rating Agency of India Ltd. (SMERA), Credit Information Bureau (CIBI), SIDBI Venture Capital Ltd. (SVCL) and India SME Asset Reconstruction Ltd. (ISARC) as well as an institutional visit to the Reserve Bank of India (Central Bank) and conduits of MSME funds like IDBI Ltd., Eximbank, State Bank of India, NABARD and AU Financiers. The participants also had an opportunity to visit an SME project in Andheri, a suburb of Mumbai City that is supported by SIDBI. SIDBI’s Chairman and Managing Director, Mr. Sushil Muhnot, formally welcomed the participants to India and opened the program at the SIDBI office in Bandra Kurla, Mumbai on July 16, 2012. ADFIAP was represented by its Senior Executive for Programs, Ms. Sandra Honrado and Training Specialist, Ms. Ma. Eloiza Olvina. The program was highly-rated by the participants and the knowledge and information gathered by them were well-received to be great steps towards realizing their personal and institutional aspirations on the development and promotion of sustainable enterprises in their respective countries.